The action-packed true story of President Theodore Roosevelt's dangerous adventure down one of the most treacherous rivers on Earth. 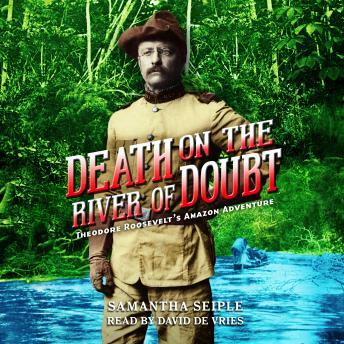 Death on the River of Doubt takes readers inside the thrilling journey that unfolds as Theodore Roosevelt and his companions navigate the Amazonian River of Doubt through an unforgiving and unpredictable jungle. With new threats at every turn, from blood-thirsty piranhas and raging rapids to starvation, disease, and a traitor in their own ranks, it seems that not everyone will make it out alive. Through it all, the indomitable Teddy Roosevelt remained determined to complete their mission and rewrite the map of the world. Or die trying. With letters, diary entries, maps, photos, and more, Death on the River of Doubt is a comprehensive narrative nonfiction thriller and the first young adult book to tell this unbelievable tale.